Not sure if this is what you meant, but this is what I thought of...! Lauren Phillips says: Bahahahahahahaha!! Oh, that's awesome! I don't think I could have done this prompt up any better than this! :D So funny! 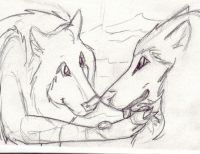 n.n	~ Reply? Jennifer Broschinsky replied to this: XD Thanks! Elizabeth Barrette says: That is SO him. He was always mooning over the trees. ~ Reply? Jennifer Broschinsky replied to this: I know! Right? 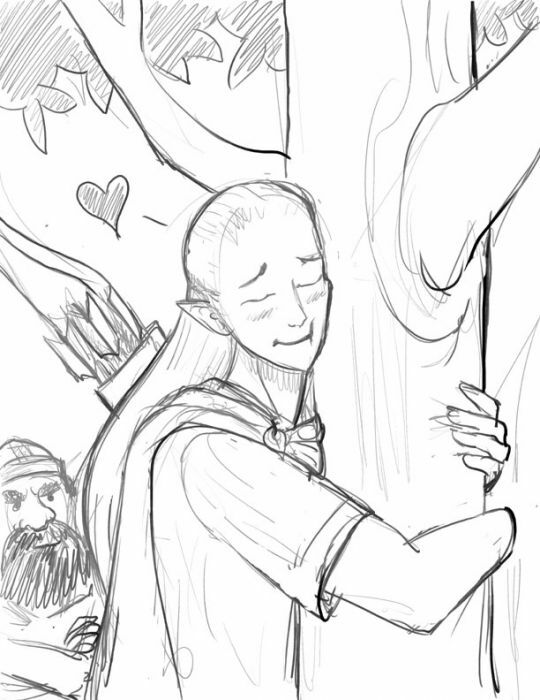 Coriander Shea says: Hugging trees is the best! :)	~ Reply? Patty O. says: This is awesome!!! I thought of this prompt while reading fo his description of the trees in Lothlorien! LOL Thanks so much for picking my prompt! You hit it right on the nail. =D	~ Reply?